Meet the most distinguished Philosopher and Scientist (a rare combination) Muni MAHENDRA Kumar, at IIT, Powai, Mumbai. Do not miss this opportunity to hear his words of wisdom at the International Conference on Science and Jain Philosophy. 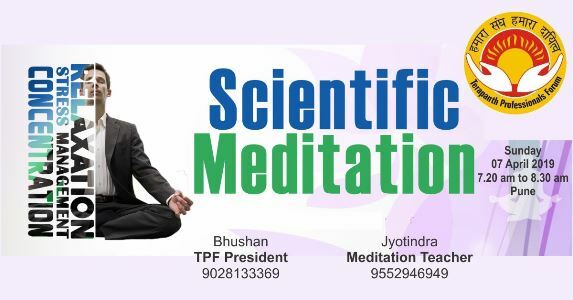 He is a versatile scholar having mastery over diverse disciplines such as Physics, Mathematics, Biology, Philosophy, Psychology, Ancient History, Meditation, Spirituality and several languages like Sanskrit, Prakrit, English, Hindi, Gujarati and Rajasthani. His work "The Enigma of the Universe" and "Vishva Prahelika" (Hindi Version) is a research in the field of cosmology of modern science and ancient Jain philosophy. He is a senior Terapanth monk, and disciple of the great Jain Acharya Shri Mahashraman. Muni Mahendra is B. Sc. (Hons.) Graduate, Āgama-manīsī and Preksā-prādhyāpaka. During his sojourns at Delhi, he had close contacts with the national leaders including past and present Prime Ministers and Presidents of India. His demonstration of Avadhana Vidya - the rare ancient science of memory power - at several universities and international conferences has earned him an epithet of "human computer". Picture shows Past President and the Rocket scientist Dr APJ Abdul Kalam appreciating ‘The Enigma of the Universe” book written by the great scientist Muni Mahendra Kumar.